Super versatile sauce that works great with any fried item as a topping or as a dipping sauce. 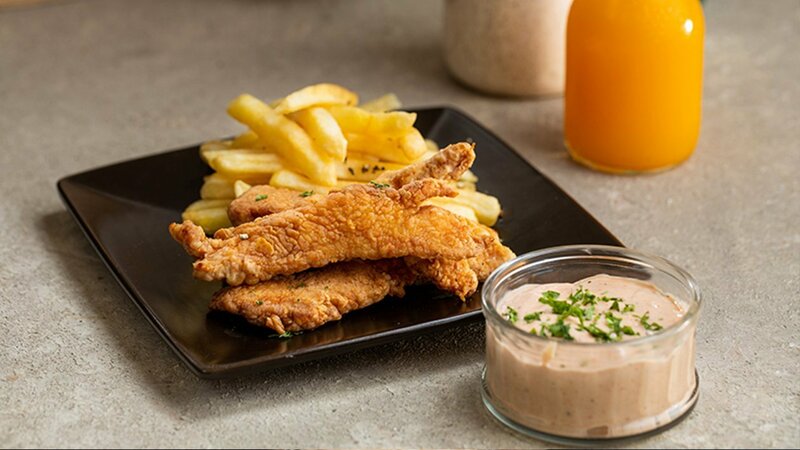 Pair up with our Chicken Strips for a double wow factor! Whisk Knorr Batter Mix, salt, ginger, garlic, , Knorr Lime Seasoning Powder and 100ml water together to make batter. Then add chicken into the batter, marinate for 30 minutes at least. To cook fry until golden brown. In a bowl, combine Best Foods Classic Mayonnaise, Knorr Tomato Ketchup, cayenne powder, black pepper crushed, salt, vinegar and mix well.